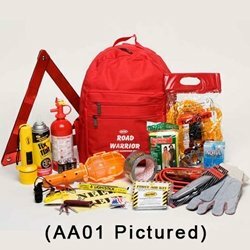 New driver gift ideas range from humorous to automobile items first time drivers will need as they roll down the highway (yikes!). It's a very special event in an adolescent's life and a big leap into adulthood. If we can remember that far back, getting that license was a huge deal to us, too - one deserving of celebration, praise and some laughter as well. As decades fly by, it is easy to forget that grown up feeling we had, the first time we took the car for a spin without anyone in it. I drove around town for hours with no destination in mind at all...just liked having the stereo playing and my new found freedom. 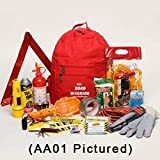 Gift Ideas For New Drivers - Where To Begin? What Do You Get A New Teen Driver? Well an adolescent, first time driver would probably tell you that the BEST gift would be, hmmm, let's see...an iPod, flat screen tv...oh...how about a CAR? Yeah, right. We adults, who are based a bit firmer in reality, recognize this important event should result in presents that celebrate something to do with that new driver's license, wouldn't you agree? For me personally, I always like a touch of humor where teenagers are concerned. I consider it a type of payback for all of their grief (of course, I caused my parents the same as well - selective memory at work here). 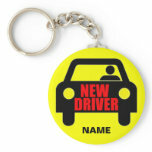 So when it comes to gifts for new drivers, I tend to lean toward the funny side of life. 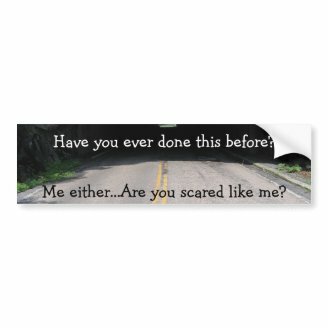 Silly quotes on bumper stickers, magnets and the like sit well with me. A great idea for a new driver is a gift basket with a little of this and that. Some silliness and seriousness mixed in for a memorable gift. You will find plenty of ideas here! Looking For Teenager Gifts That Are Useful? 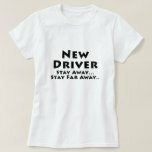 Aside from the funny gifts, there are some practical ideas for a gift for new drivers. Of course, the big question here is are they driving the parents car or are they getting one of their own? 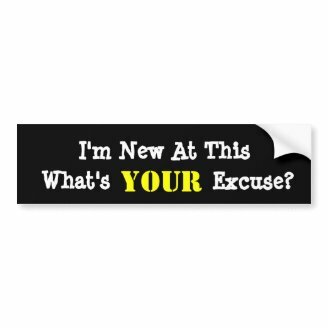 I won't spend a bunch of time on those teenagers who get their own vehicles....because there are endless ideas for decor you can give to brighten their day. From neon, shaggy steering wheel covers to floor mats, car audio systems and gift certificates for oil changes, you won't have any trouble finding a present to please a teen. But gifts for a new driver who will be borrowing mom and dad's vehicle is a bit trickier. The parents will not like you if you encourage the adolescent to redecorate their SUV in neon orange (unless you hold a grudge against the parents, of course!). 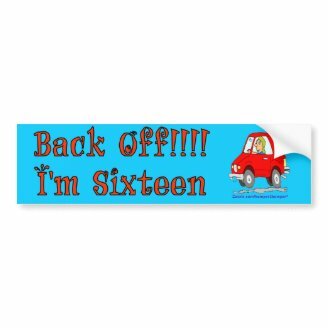 Small things like bumper stickers and magnets are fine, but a whole redecorating of a vehicle to a teen's taste is NOT. So think practical (aside from the humor). 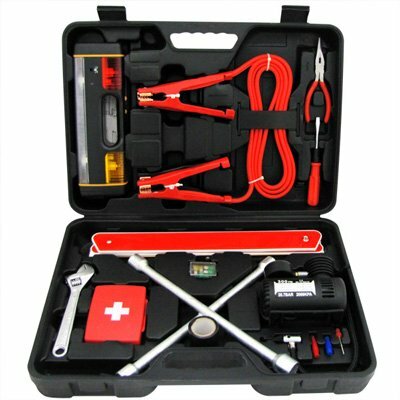 There are wonderful emergency kits available that give adults and new drivers peace of mind. Also, gift cards for gasoline or Autozone are a wonderful idea! 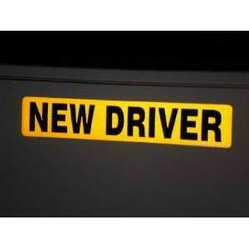 If you like the idea of a new driver sign of some sort, consider the popular idea of a magnetic sign. It is completely removable - which might be a popular idea with those who actually own the car! However, bear in mind that if it is too embarrassing for a teen, they can just as easily remove it, too! What is the best gift idea for a new driver? You! Yep...teenagers need your love, trust and support. It is human nature for inexperienced drivers, or at least some, to feel they know it all (we did, too). But we adults know better. We want them to be safe, yet have the confidence to be wonderful drivers at the same time. That will take patience on your part (and some biting of nails). You are still the parent, driving is a privilege, so be clear as to expectations, curfews and rules while the teen is driving. Maybe come up with a contract that you and the teen write together - every 3 months the new driver, if doing well, gets a little more time behind the wheel, etc. Just remember, the key to a good driver is positive reinforcement, not punishment. Give them rewards to aim for and offer support. Tell your new driver how proud you are of him or her and give a thoughtful gift to celebrate this big accomplishment. Tell your teen you still plan to be a passenger as he or she masters the skill of safe driving. Let teenagers know you are only a phone call away whenever needed. Teach with gentleness and not with anger, disappointment or fear. 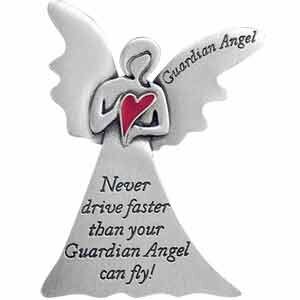 Yes, for their safety and skill where driving is concerned, they still need YOU...even if they won't admit it! So, I decided to be the grownup and say, "OK, I think you're ready." I handed her the keys with as much of a flourish as I could manage, seeing that my knees were about to give way and I felt a little light-headed. Of course I couldn't resist the parting shot that would make her pay attention, convince her that I was pretty cool despite my age, and let her know that I loved her and trusted her no matter what she might think from my pitiful display of fear. I said, "OK then, see you later." And she drove off into the night. Really, at this point you've done all you could have done. The lessons have been learned, the lectures have been processed, the advice has been taken. You simply have to let it go, and hope for the best. But of course, you have to stay up the first time until he or she comes in the door and you ask how it went - the fitting end to a beautiful if stressful evening. Just say goodnight, and get some sleep. There will be plenty of other opportunities for worrying all night long.